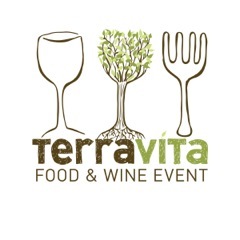 TerraVITA returns for the fourth year, October 10-12, 2013 offering educational events like the popular “Sustainable Classroom” with sessions like Recreating Food with Southern Roots AND Suds & Seafood–Brew Pairings & Early Happy Hour with The Local Palate. 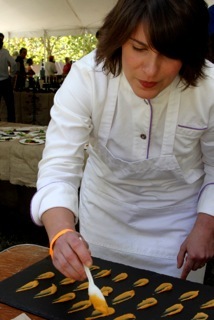 The "Grand Tasting On The Green” featuring renowned North Carolina chefs, brewers, distillers, farmers, cheese makers, and tasting events featuring local and sustainable wines, microbrews, coffee and spirits is the pinnacle event of the festival. Tickets go fast for these popular events--get YOURS, here. 2013 will be my first time going to TerraVITA. Last year, I was in France. The year before I was volunteering at the Winston-Salem Air Show. The year before that? I didn't know the festival existed! I know better now. North Carolina’s Triangle region—and Chapel Hill specifically—is becoming known for its sustainability efforts through farmers, purveyors, chefs, and restaurants. TerraVITA shows that successful sustainable local food and drink is more than just a tasty trend. Live music will be provided throughout the event, and a silent auction feature a silent auction offering unique destinations and experiences, gift certificates to top area restaurants and spas, fine food and wine, and sustainable products and services. The event will dedicate the auction proceeds to the Cystic Fibrosis Foundation. As an additional commitment, TerraVITA has set the goal of producing a zero waste event by employing the intensive use of compostable and recyclable goods and recycling nearly all of the waste produced at the event.